Various innovations presented by the automotive industry to create environmentally friendly vehicles. One Munich-based auto company named Sono Motors. 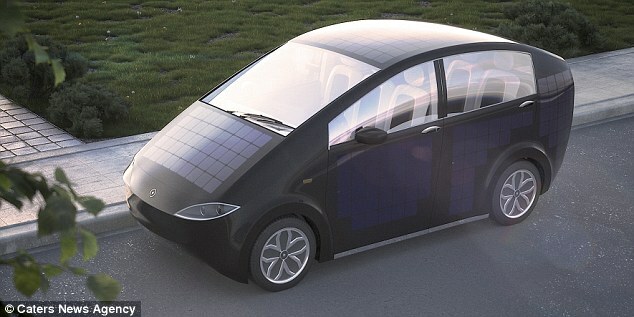 Although small, they are solar-powered car manufacturers. 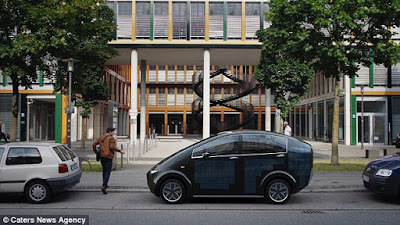 As reported Dailymail, currently Sono Motor already has a solar car prototype, called Sion. To make the more they later raise public funds, targeted collected up to US. $200 thousand. Explained, Sion can charge itself through solar panels mounted on the roof and in the four sides of the car. The sun's rays will then be converted into electricity that drives the vehicle. While the electrical outlet will be available also as an energy alternative, if if the weather is overcast. Laurin Hahn, one of the founders Sono Motors, said that this project was started four years ago. "We started four years ago in a garage and then rapidly expand. We then moved to a larger workshop" he said. Sion car prototype comes with a three-seat configuration in the front and three at rear. This seat can be arranged so that the space available more widely. What is interesting is the air vent Sion moss. The small green plant is claimed to have the ability to filter dust particles. In other words, this is a natural air filter that can bring freshness in the cabin.